Adrianna Rochester and Cristina D’Almeida, journalism students at Southern Connecticut State University, reported this story in 2016 as part of Journalism Capstone coursework on World War I. When Fred Horn researched his grandfather’s service in World War I, Horn learned of a family military tradition: Four members from three generations all served in the same regiment. The 102nd Infantry Regiment, to which they each belonged, is comprised of Connecticut troops. 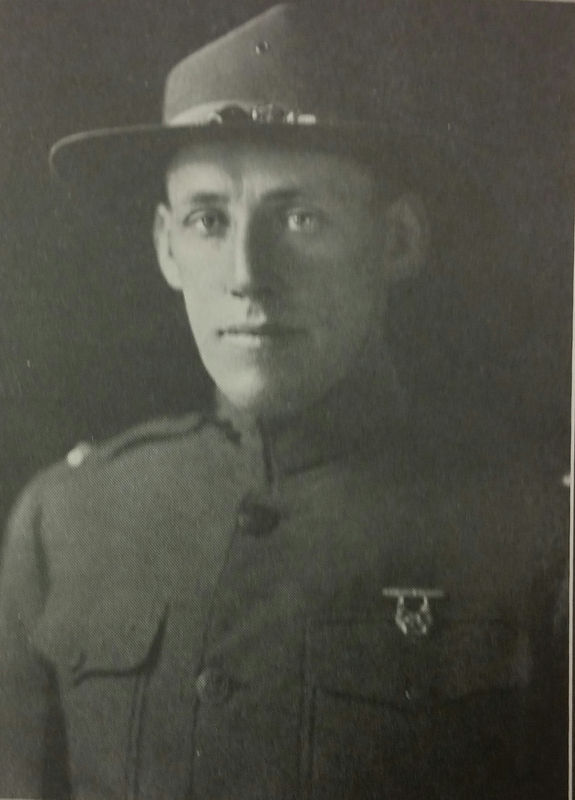 Horn’s grandfather Joseph M. Park served in the 102nd Infantry Regiment during World War I, but had previously served with the unit during the Mexican border conflict, when it was the 2nd Regiment. Horn’s other grandfather also served with that unit from 1898 to 1903. 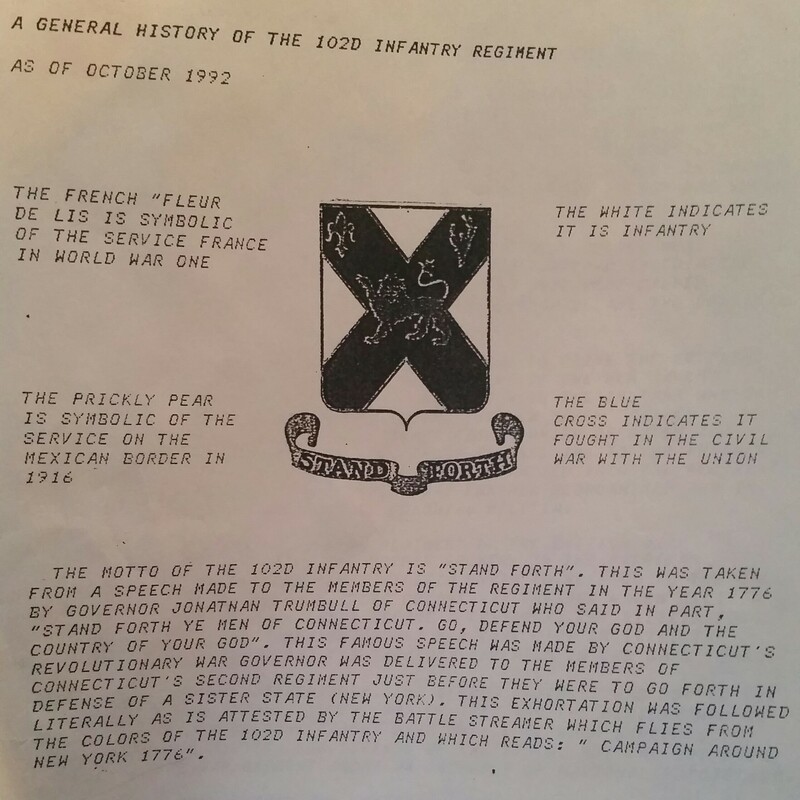 “When the 102nd itself was first formed it was known as the 2nd regiment until World War I. Then it became the 102nd. The 2nd regiment was formed in 1639,” said Horn. Horn, who enlisted in the National Guard in 1964, ended up in the same regiment during his service, as did his son, a 25-year career National Guard member. However, such a tradition occurred by accident. Horn didn’t know about the connection when he enlisted. “I remember going to his house as a kid and I knew he was a war hero, but I never knew the background of his service, until I found a box at home with his belongings,” Horn said. Horn said he found letters addressed to his grandfather from other soldiers as well as artifacts such as pictures, service records and more. Also after joining the 102nd Infantry, Horn said he discovered more of his grandfather’s history through other veterans who knew him and through documents and letters. Park was his company commander prior to leaving the Army. He was well liked and well respected, Horn said, as indicated by how soldiers addressed him in letters. They called him “Uncle Joe,” instead of addressing him by his proper title as captain. Horn was a young boy at the time of his grandfather’s death, but he said he has some vivid memories of his grandfather. The infantry was awarded many medals for actions in the Great War, including the French Croix de Guerre and a World War I Victory Medal. Park passed away due to a heart attack some time after his service, but prior to his death he worked as a marshall for the town of New Haven and worked in a gun factory. Horn was 12 years old at the time of his grandfather’s death. According to Horn, his grandfather is buried in the Beaverdale Memorial Park in New Haven. “If I only knew then what I know now when I knew him, I’d ask him about things that were done in World War I and all of the things he did,” said Horn. Edited by SCSU Journalism professors Jodie Mozdzer Gil and Cindy Simoneau.